Smart Money has new rates for their money transfer service. The fee will no longer be charged from the subscriber's regular airtime load but will now be deducted from Smart Money account. 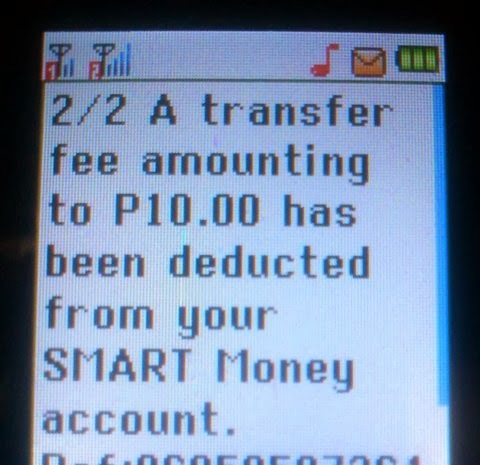 Effective November 1, 2013, SMART Padala, SMART Money’s domestic money transfer service will STOP charging airtime fees. Sender’s SMART Money account will be debited with Php 5.00 service fee for the first Php 1,000 and Php 2.50 for increments of P500. For the complete Smart Money transaction fee rates, you can read it here.